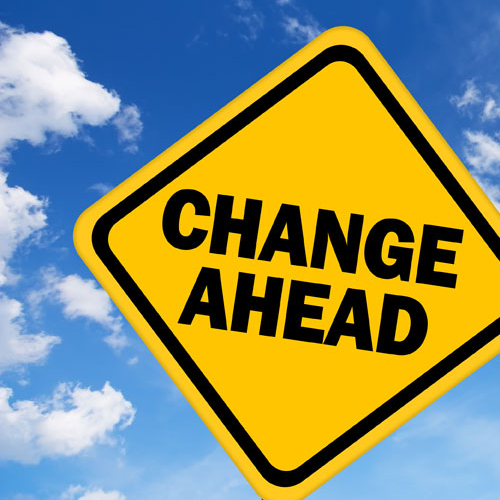 As of January 1, 2019, HyperStudio’s research and development will be rebranded and refocused under a new name: “Active Archives Initiative”. Existing projects such as “Annotation Studio”, “Idea Space”, the “US-Iran Relations” project, “Blacks in American Medicine”, and others will continue and see further development. Please watch this space for further info. 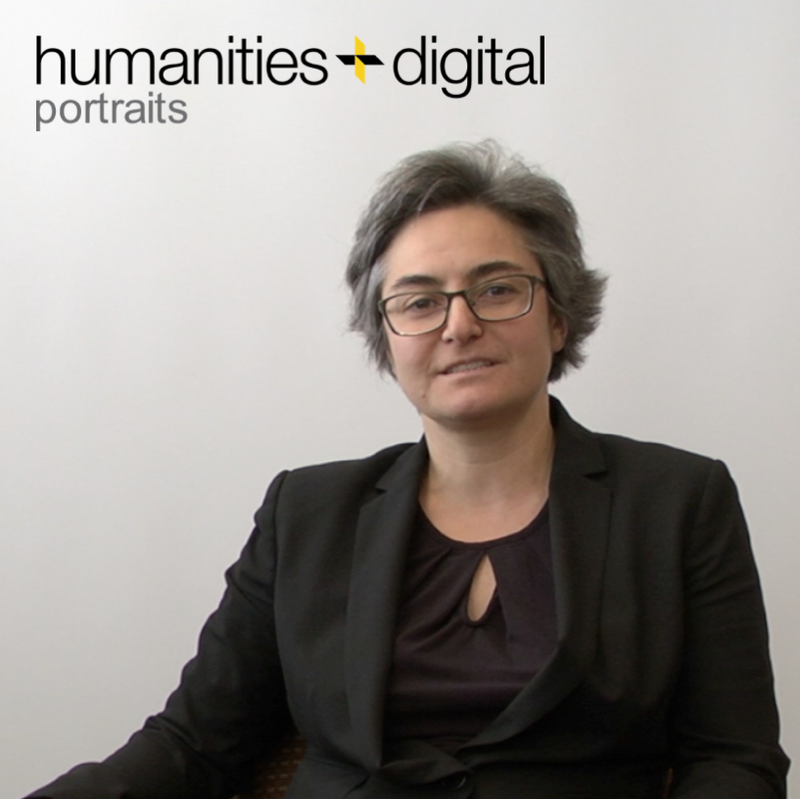 You might want to check out the new MIT School of Humanities, Arts, and Social Sciences Initiative: MIT DIGITAL HUMANITIES. For further information and questions, please contact Kurt Fendt <fendt[at]mit.edu>. For the summer of 2018, we have a new intern at HyperStudio, Nikhil Dharmaraj! Sixteen years old, Nikhil is a rising senior at The Harker School in sunny San Jose, California. 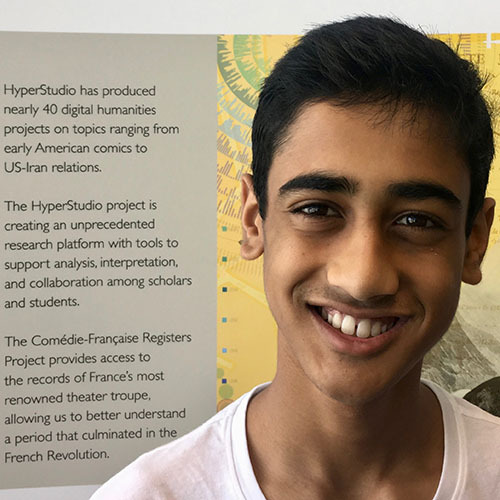 Thrilled to be working at HyperStudio this summer, Nikhil has a budding interest in the “digital humanities;” essentially, he is eager to investigate what lies at the intersection of technology and the humanities. An aspiring software developer, Nikhil is fluent in many computer languages, and he has pursued computer science through post-AP coursework, hackathons, and internships. Extracurricularly, for the past six years, he has been nationally ranked in Original Oratory (a competitive speech even within NSDA); moreover, he has excelled in the classics as a member of CAJCL, serving as vice president of his school’s chapter. This summer at HyperStudio, Nikhil is excited to be working on a variety of projects, with his focus being improving ArtBot, a program that uses a double machine-learning algorithm to make serendipitous connections between art pieces and exhibits. Nikhil will be with us till August 17, and we are excited to have him on HyperStudio’s team! In short, the idea of an an-archive is useful because it is a large, open, digital repository, such as YouTube or Wikipedia, allowing for near constant expansion. This is in direct contrast to the traditional, analogue archive that is exclusive – both in terms of content and access. This tension between these two types of repositories is nothing new, but it is a useful example for highlighting the different options each provides. An an-archive has “active users” which allows for growth and accessibility, while traditional archives have “stable sources,” that instead provide accuracy but also a measure of control. Of course, the question implicitly raised by this contrast is: who is controlling these data sources? In the case of the an-archive, it is the black-box algorithm, while the traditional archive is instead governed by the equally unapproachable white-haired curator. In both of these scenarios, the role of the ordinary user is diminished. This might have made sense in 2007, when this article was published, but in the decade since, people’s expectations around data have changed considerably. In 2007, for example, the bulk of interaction with the internet took place on desktop computers – it was only with the introduction of the iPhone that year that powerful personalized devices truly began to reconfigure our expectations around personal data. Or take social networks: Facebook and Twitter were both available in 2007 – albeit in nascent forms – but the raft of popular apps that have emerged since have helped bring forth the notion of holding much greater control over one’s data. Whatsapp encrypts conversations by default, while Snapchat’s messages disappear after 24 hours – making it, if anything, an anti-archive. Of course, it’s not surprising that as more and more personal data goes online, users are likely to demand proportionally more control over it. (Edward Snowden’s explosive revelations about government surveillance certainly helped bring clarity to the issue.) But even in those apps and services where outward promotion is a goal, not a threat, users have become accustomed to exercising much more control. Consider the case of the hashtag: this now-ubiquitous symbol lets users sort and categorize content even as they’re creating it. Or take geo-tagging, which allows users to instantly add a layer of geographic metadata to a photo. With scores of other services, each with their own terminology and functions – from pinning on Pinterest to retweeting on Twitter – it seems that the internet and the devices and data connected to it have fostered a virtual playground, in which ordinary users exercise extraordinary amounts of agency and creativity. It should come as no surprise, then, that users might expect an equivalent amount of control when they turn their attention to archives. 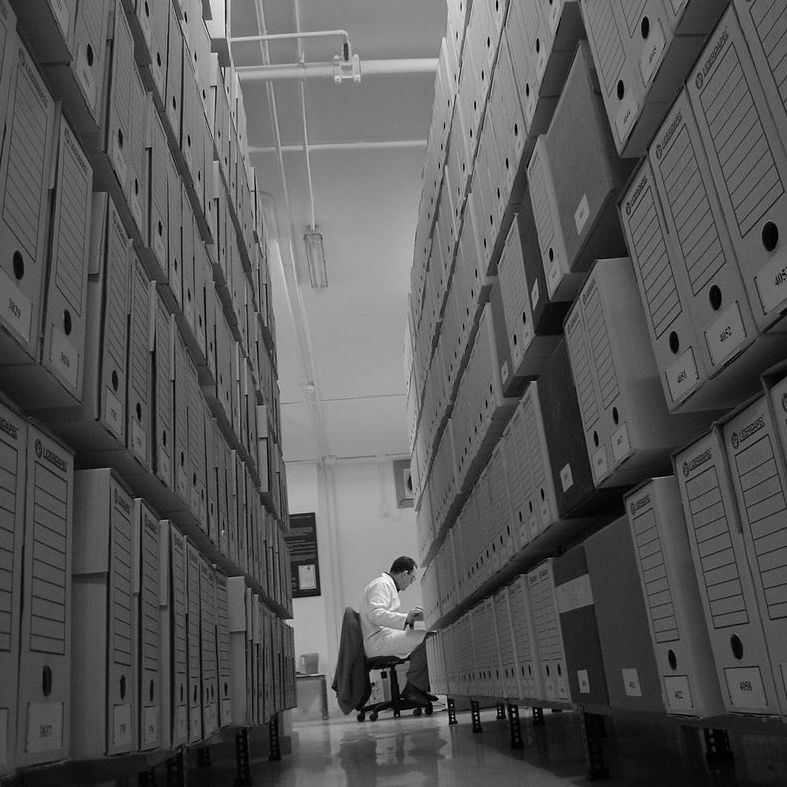 So what should an archive look like today? The obvious solution is to diminish the place of both the unreachable curator and the black box and instead focus on the user who is interacting with the content directly. In order to engage modern users of archives, we need to make sure that they have not only access to the same information as traditional curators, but also control over this information. In short, we need to create archives that put the user, not unseen forces, directly at the center of the data. At HyperStudio, two of our current projects – Blacks in American Medicine and US-Iran Relations – are developing with this goal in mind. As part of our Active Archives Initiative, both of these digital projects are being refined to make sure that their vast repositories are not only open to all users but responsive to these users’ wishes and needs. By thinking of users first, we aim to create archives that will engage a new generation of audiences who play an active role in shaping the stories that have been handed down to us all. So what will our Active Archives Initiative encompass and involve? We’re still at an early stage in thinking through our approach, but something we certainly plan to highlight is the idea of “storymaking”. In contrast to storytelling, storymaking emphasizes the importance of historical materials – as accessed through archives – and narratives that we create with them. HyperStudio’s experimentation with storymaking actually predates the Active Archives Initiative: an earlier iteration of our US-Iran Relations project had similar functionality, whereby users could “write their own narrative” within the archive. But we’re hoping that through this initiative we can offer users an easy-to-use interface which is built to scale across a diverse array of archives. Consider for example our Blacks in American Medicine project. 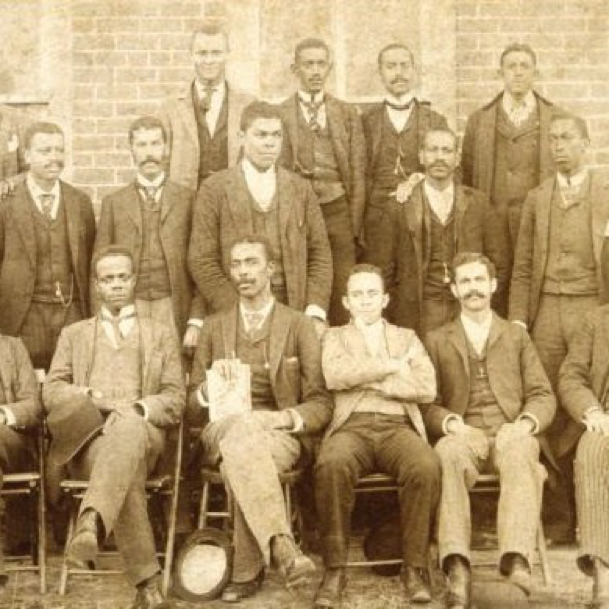 The project archive consists of over 23,000 biographical records of African American physicians from 1860-1980 and numerous associated primary documents. Inevitably, the scale of this archive enables very different stories to be constructed from the diverse set of raw materials available. Emphasizing storymaking means encouraging users to think through the subjective decisions involved in using archives to explore and explain the past. For instance, when looking at correspondence from notable African American physicians one can choose to focus on the purpose of the document, the time period surrounding it or the geographic information it contains. This is just an example, but it serves to show the complexities involved in understanding the past – complexity that our Active Archives Initiative will encourage users to embrace, not avoid. Obviously, this work is still at the planning stage, but in future work we’ll be thinking in more depth about how the user interface and functionality of the initiative can best reflect the mission we’ve described here. And we’ll be sure to keep this blog updated with our progress! At a time when it’s commonplace to see a movie trailer embedded in a tweet, or photos posted in a message thread, it’s clear that the experience of using the web involves an immersive mix of text, images and video. Of course, underlying what appears a seamless combination of media content is a huge amount of technical sophistication. The story is no different for annotation programs, which allow users not only to view but also to comment on various types of content. 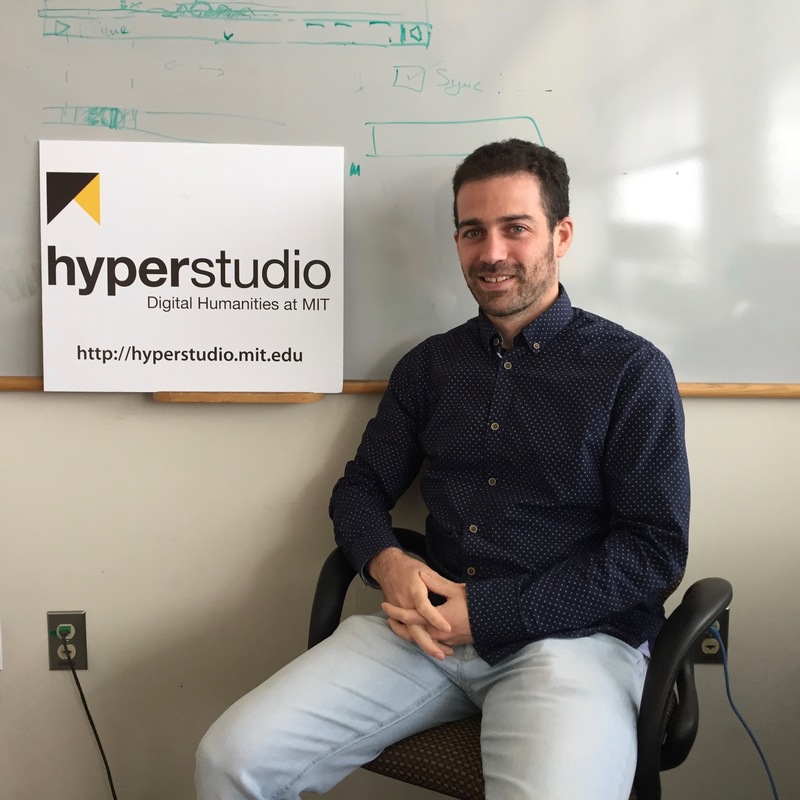 Integrating different annotation programs is the work of our latest HyperStudio Fellow, Daniel Cebrián Robles, who was spending September visiting us from the University of Málaga, where he is a Professor of Science and Education. I recently sat down with Daniel to talk about his work, and what he hopes to achieve in his time with us. One of Daniel’s areas of expertise is his development of technology designed to meet the needs of students and researchers. 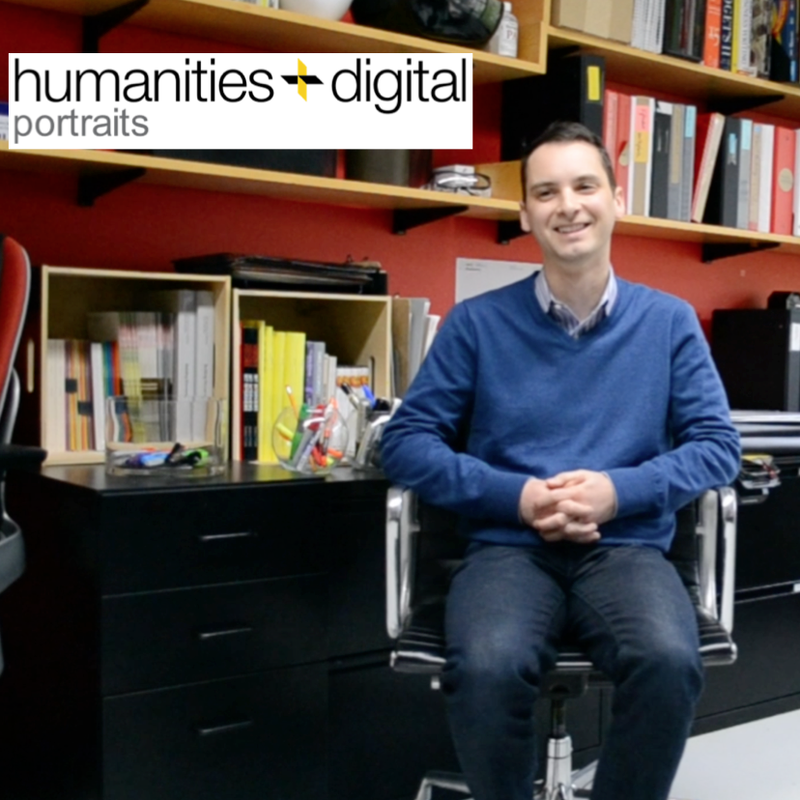 This makes him a natural fit as a visitor to HyperStudio, given our focus on both research and pedagogy in the context of Digital Humanities. Daniel’s focus while at HyperStudio will be on integrating the Open Video Annotation project (OVA), for which he is the Lead Application Developer, with our own online annotation tool, Annotation Studio. 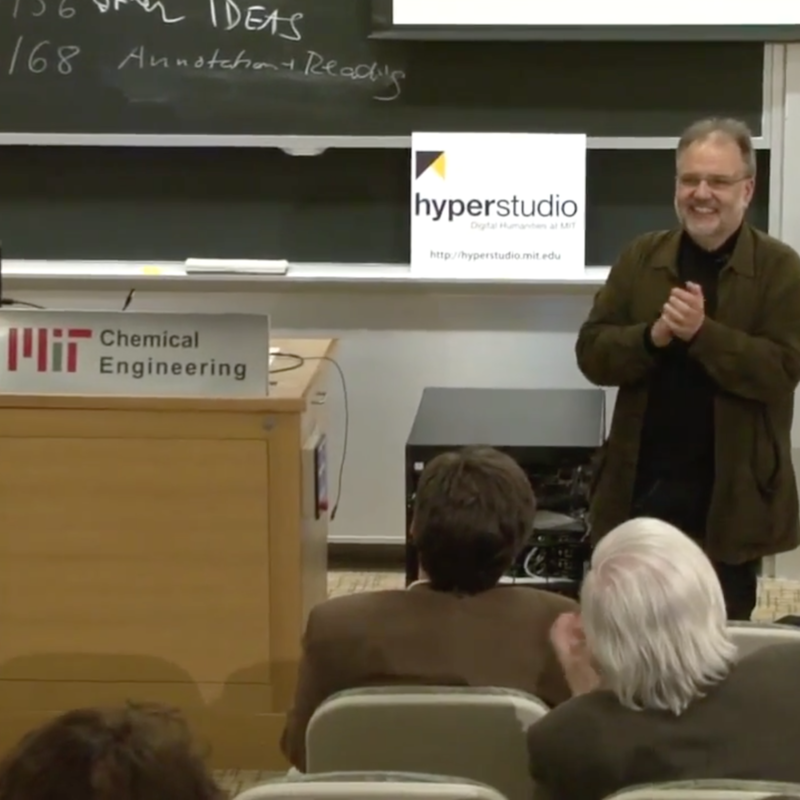 OVA, an initiative originally based out of the Center for Hellenic Studies at Harvard, enables the annotation of online video material, allowing students and teachers alike to create, collate and share tags and comments at different points in a video. Given the explosive growth of online video in recent years, the project serves to make watching video online a more interactive and immersive experience. As noted, here at HyperStudio we have our own online annotation tool, Annotation Studio, which is also designed for students, researchers and others to collaboratively annotate online material. The crucial difference, however, is that Annotation Studio is currently designed for annotating text, but not – as yet – video. This, then, is the basis of Daniel’s work with us – to integrate the video annotation capacities of the Open Video Annotation Project with Annotation Studio. Doing so undoubtedly poses several technical challenges, which will require Daniel’s depth of experience in this area. Daniel explained that his ambition for this month is to develop a first working version of the integrated functionality. As both a developer and educator, Daniel is perfectly placed to negotiate between what users want and what is technically feasible, allowing him to swiftly fix bugs and incorporate suggestions made by instructors and students. This ground-level engagement thus guides his development efforts, serving a similar function to the workshops and trials we regularly hold with users of Annotation Studio. These engagements are often the most rewarding part of the development process: Daniel mentioned the time that one of his users, a teacher in training, told him that he would use the program with his future high school students. Looking further ahead, Daniel believes that his work integrating the Open Video Annotation project with Annotation Studio is only the beginning of a much wider process of bringing diverse forms of media together for annotation into one platform. Daniel speculates that beyond just text, photos and videos, potentially also maps and even 3D objects might belong to such a platform in the future. And the impact on user experience could be empowering and inspirational. Giving students, teachers and the general public the ability not only consume media online, but also share opinions and perspectives on it through annotation, could revolutionize how we experience the vast catalog of content available online. Daniel’s work marks just the start of this process, but we are excited to have him on board! It’s great to be getting underway here at MIT, as a new graduate student in CMS and an RA in HyperStudio. One of my initial tasks for my Hyperstudio research has been to get to grips with the exciting Artbot project, developed by recent alumni Desi Gonzalez, Liam Andrew, and other HyperStudio members, and think about how we might take it forward. With these aims in mind, the team built a highly sophisticated platform to serve up local art experiences in two ways: through a recommendation system responsive to a user’s expressed interests, and through a discovery system drawing on meaningful associations between different offerings. Both these processes were designed to be automated, building on a network of scrapers and parsers which allow the app to automatically categorize, classify, and create connections between different entities. The whole project was built using open-source software, and can be accessed via artbotapp.com in mobile web browsers. I’ve spent some time getting first-hand experience with Artbot as a user, and several things stick out. First, and most importantly: it works! The app is instantly immersive, drawing the user in through its related and recommended events feeds. Experiencing art is typically a subjective and self-directed process, and the app succeeds in mimicking this by nudging rather than pushing the user through an exploration of the local art scene. Second, it is interesting to note how the app handles the complexity of cultural events and our varied interest in them. On one level, events are by definition fixed to a given time and place (even when they span a wide timespan or multiple venues.) Yet on another level, a complex package of social, cultural and practical cues usually governs the decision over whether or not we want to actually attend any particular event. This is where the app’s relation and recommendation systems really become useful, drawing meaningful links between events to highlight those that users are more likely to be genuinely interested in but may not have searched for or otherwise come across. 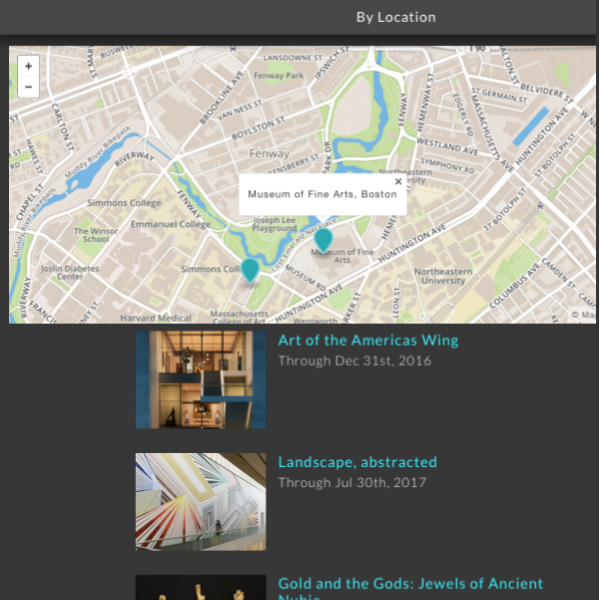 Finally, the successful implementation of the app for Boston’s art scene led us to think about the different directions we might take it going forward. In principle, although the app currently only scrapes museum and gallery websites for event data, the underlying architecture for categorization and classification is culturally agnostic, suggesting the possibility for a wider range of local events to be included. The value of such a tool could be immense. It’s exciting to imagine a single platform offering information about every music concert, sporting event and civic meeting in a given locality, enabling residents to make informed choices about how they might engage with their community. But this is crucially dependent on a second new component: allowing users to enter information themselves, thus providing another stream of information about local events. As such, we’re proposing both a diversification of the cultural coverage of the app, but also a democratisation of the means by which events can be discovered and promoted. We’ve also given it a new, more widely applicable name: Knowtice. This move towards diversification and democratisation chimes with the broader principles of the platform. 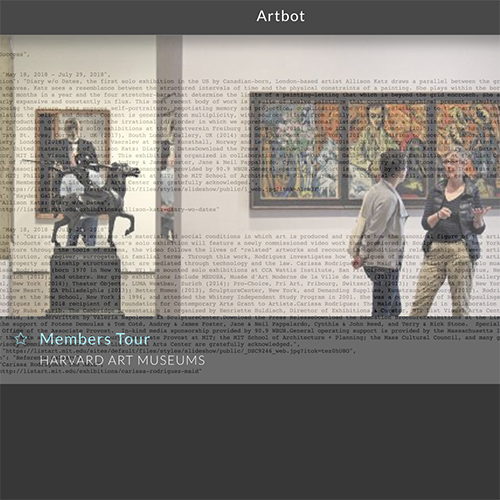 ‘Parserbot’ – the core component of Artbot which performs natural language processing and entity extraction of relevant data – is open source, and therefore could in future allow communities other than our launch locality Boston to adopt and implement it independently, shaping it to their own needs. At root, all events require some basic information: a time and date, a location, a purpose, and people to attend. This data is standardisable, making it possible to collect together information about a wide array of events in a similar format. Yet despite these structural similarities, in substantive terms no two events are ever the same, which is why we are committed to providing a platform which facilitates distinctiveness, letting communities to express themselves through their events. We recently entered the Knight Foundation’s News Challenge with a view to taking the app forward in these new directions. You can view our submitted application (and up-vote it!) here. As we state in our proposal, we think that there’s tremendous potential for a tool that helps to unlock the cultural and social value of local activities in a way that engages and enthuses the whole community. We plan to build on the firm foundations of Artbot to create a social, sustainable, open-source platform to accomplish this broad and bold ambition. Keep checking this blog to find out how we get on!